Indian Army rally Recruitment bharti will be organized by Garhwal Regimental center in April to May 2017. Candidates who belong to Rudraprayag, Chamoli, Dehradun, Haridwar, Puri, Tehri Garhwal and Uttrakashi may apply online for Army Rally Recruitment bharti. The Online registration is now open from 28 Feb 2017 and will be close 13 April 2017. The Indian Army will be organize rally for the post of Soldier General Duty, Soldier Clerk/SKT, Technical Tradesman etc all category from Uttrakhand. Venue : Dussehra Mela Ground, Chamoli. Age limit for Uttrakhand Army Rally bharti 2017. 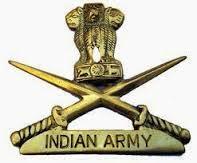 Soldier General Duty : Candidates not under 17 years Six month and not more then 21 years old. Sol GD : Minimum 10th pass with 45% marks, If candidate 12th pass or higher educated, then 10th class percentage is waived off. Sol Clk/SKT : Should be 12th class pass with 60% marks in aggregate subjects and 50% marks in each subjects. Sol Tech : 12th class pass with Physics Chemistry, Maths with 50% marks and 40% in other subjects. Tradesman : At lest 8th pass. Online Registration is mandatory for all category posts. Candidates should have register online at official website. No candidates allowed without online registration. Before appling online registration candidate need to collect all required documents and passport sized photograph.